As this year’s opening parties kick-off across the White Isle, this is your indispensable guide to the summer’s anthems. 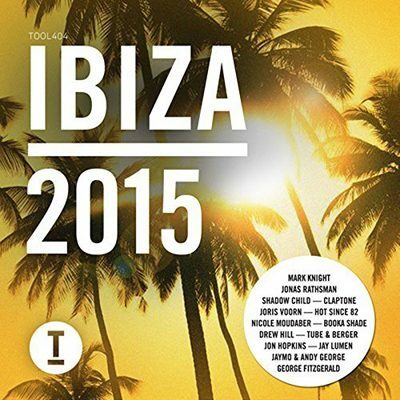 Covering the full spectrum of House, Tech House & Techno that Toolroom is internationally famed for, on this album you’ll discover tracks for every Ibiza moment – from blissful, chilled out days by the pool, through to unforgettable club nights and unrelenting after-parties. Over 50 new and exclusive tracks feature across all 3 captivating discs. Featuring many of the world’s finest producers including Mark Knight, Jonas Rathsman, Shadow Child, Claptone, Booka Shade, Jon Hopkins, Doorly, Tube & Berger, Matador, Harvey McKay, Bontan, Jaymo & Andy George, Nicole Moudaber, Joris Voorn, Royksopp, Jay Lumen, Hot Since 82, Prok & Fitch, Shiba San, Drew Hill, Weiss, Zed Bias, Adrian Hour, Sidney Charles, Dosem, Patrick Topping, Ninetoes, George FitzGerald, Tough Love, Dale Howard, Rene Amesz, and many, many more.